Operation Musketoon was a raid on an electricity generating station at Glomfjord in German occupied Norway. 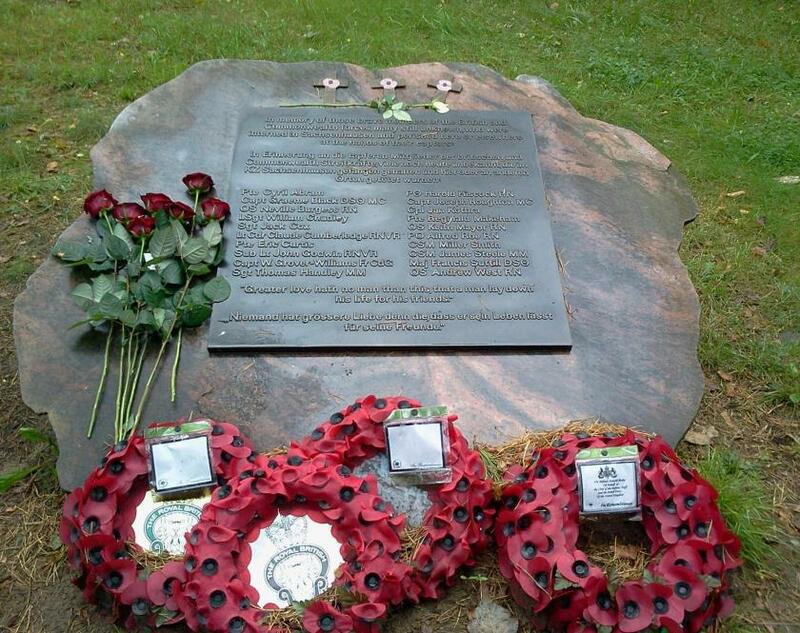 Ten Commandos from No 2 Commando and 2 Norwegian corporals working for the SOE took part in the raid leaving thier home port on the 11th September. They were taken by submarine to a remote Fjord, completed a difficult overland route, approaching their target from the rear and successfully destroyed it. Seven were captured and later executed at Sachsenhausen Concentration Camp under Hitler's infamous Commando Order. The Commandos were accompanied by 2 scouts from Norwegian Independent Company 1 (Noric1) , an SOE unit who were both later killed. Pte. Frederick Trigg [view] escaped and made it back to the UK where he was awarded the Military Medal for his part in the raid. He then rejoined No.2 Commando. He was killed on the 16th February 1944. There is a Memorial at Sachsenhausen in memory of not only those executed on this raid, but of all the British and Commonwealth Forces, many still unknown, who were interned and perished there, or elsewhere, at the hands of their captors. 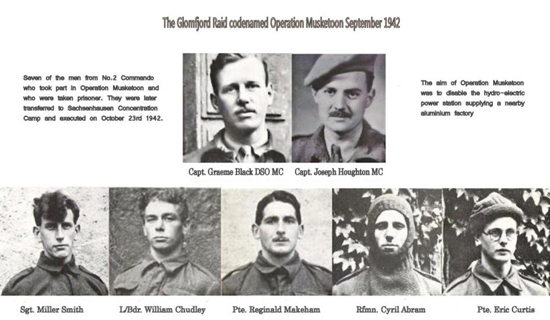 These include the Commandos from Operation Checkmate [view]. 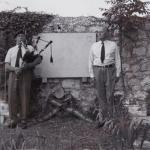 There is more about the raid here in our history of No 2 Commando section.